Winter looks chilly... right up until you hit the haute tub! 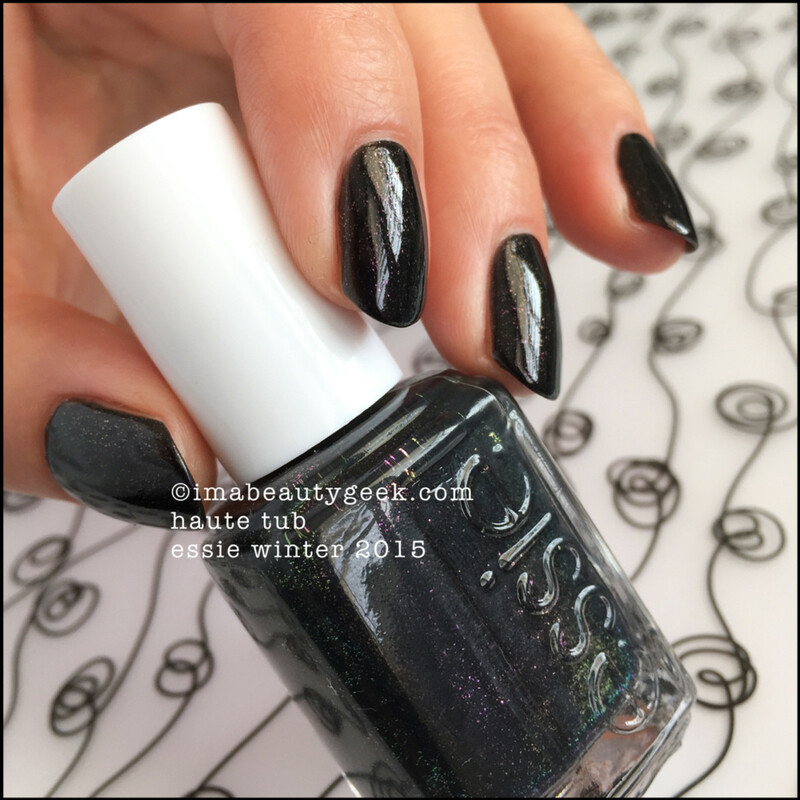 The Essie Winter 2015 Collection landed on-counter waaaay earlier than it was supposed so I decided to wait until the weather turned a little cooler to show it to you. The time is now. 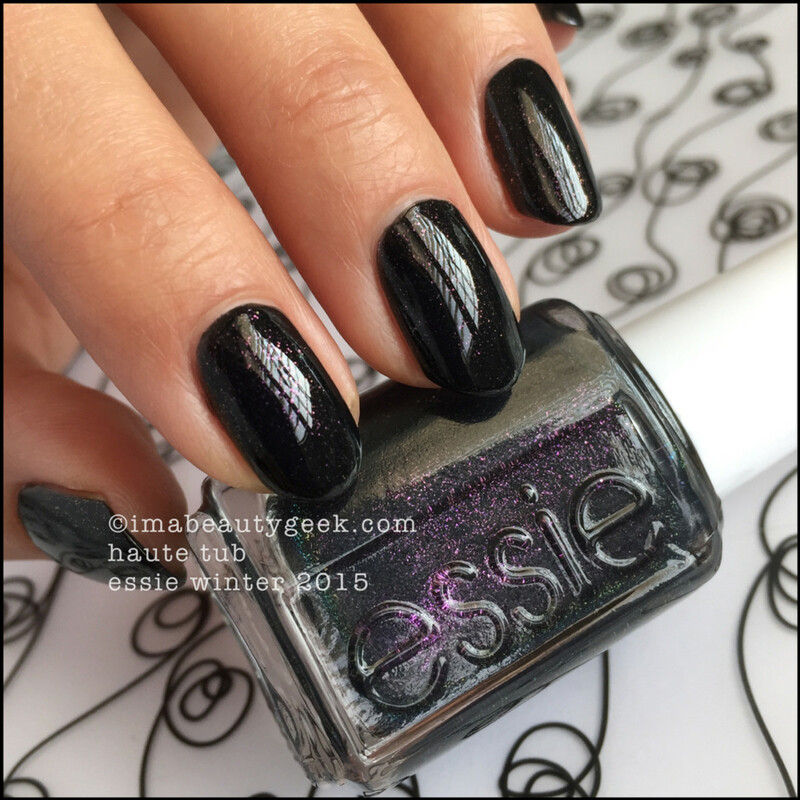 Now that we’ve had a chance to wear our Frock &apos;n Roll and Leggy Legend, I bring you Essie Winter 2015 with a smattering of Essie LuxEffects 2015. 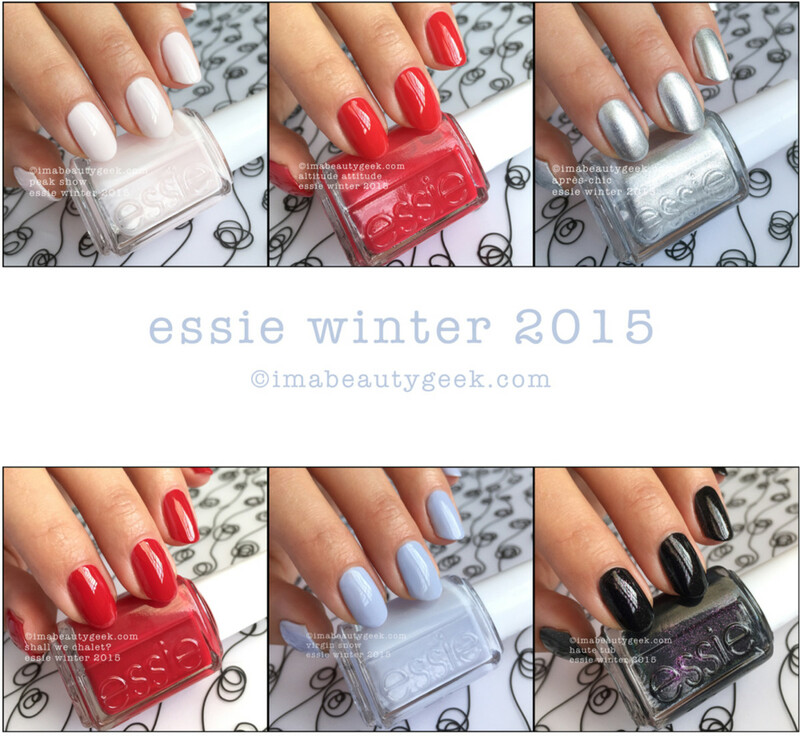 Essie Winter 2015 – Essie Peak Show (above). Wow. What a stunningly soft, cool, and beautiful barely-pink shade of pink. And wow, incredibly flattering too! That tiny hit of pink… It’s a genius shade. You’re going to want to apply slowly and carefully but all you’ll need is two coats. The formula is better than you’d think for having so much white stuffed into it. 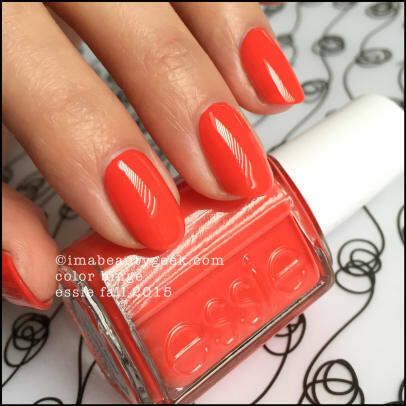 Essie LuxEffects 2015 Essie Frilling Me Softly over Essie Peak Show (above). Oh! Glitterz! I think this bottle of LuxEffects is my favourite of the 4. It’s got icy blue bits and silver bits that look smashing against lighter polishes. That’s one coat over Peak Show and that’s enough coats for me. 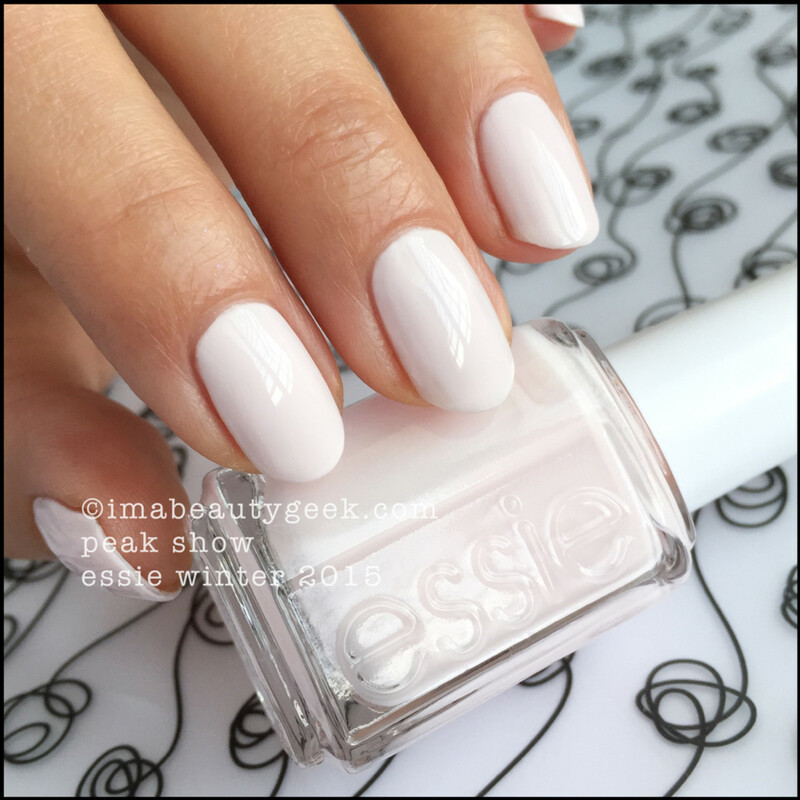 Essie Winter 2015 – Essie Après-Chic (above). Hello sparkly foily silver! You’re very wintery and easy to apply in one single coat! You dry down marginally streaky but hey, that’s part of your charm, right? 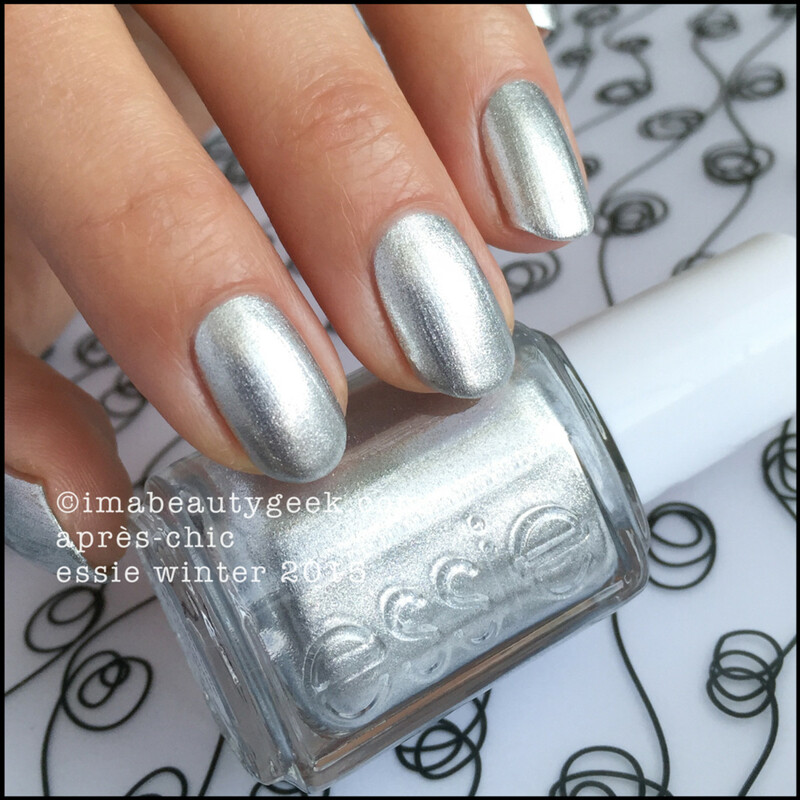 Essie LuxEffects 2015 Essie Fashion Flare over Essie Après-Chic (above). Lookit how easy it is to make all the streaks in Après-Chic disappear. Yep, just slap a coat of any one of the LuxEffects over top and you’re good to go! 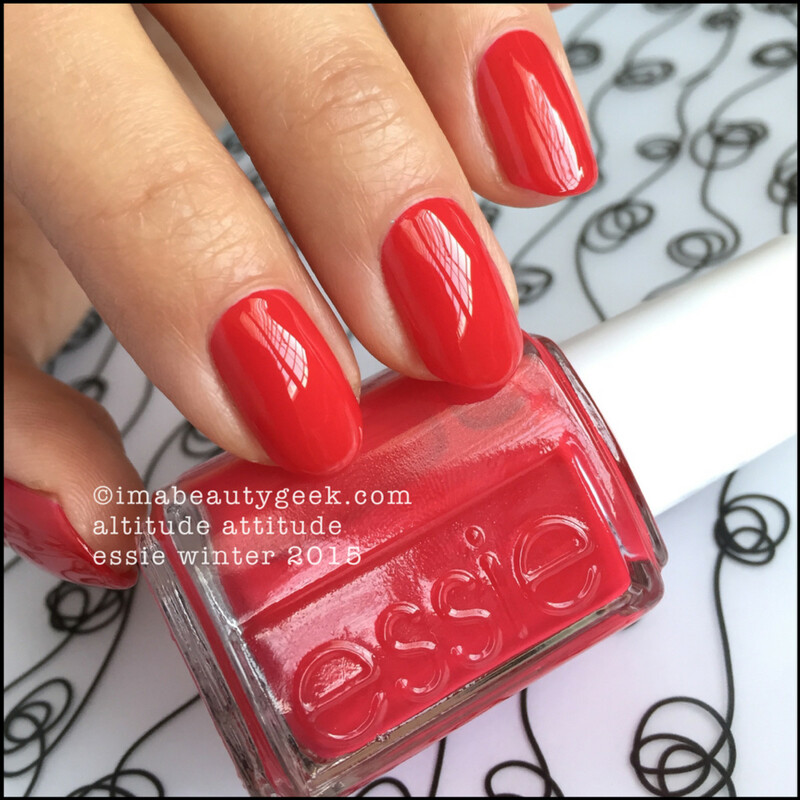 Essie Winter 2015 – Essie Altitude Attitude (above). Rats. I got a glitter bit stuck in my cuticle. Don’t look right at it! Nooooo!! If not for that dumb stuck glitter bit, this manicure would be freakin’ stunning. THIS red. I love it. You can see why. It’s another one of those “What Red Are You Wearing” Reds. Perfect in every way – even in application. 2 coats. Big smile. 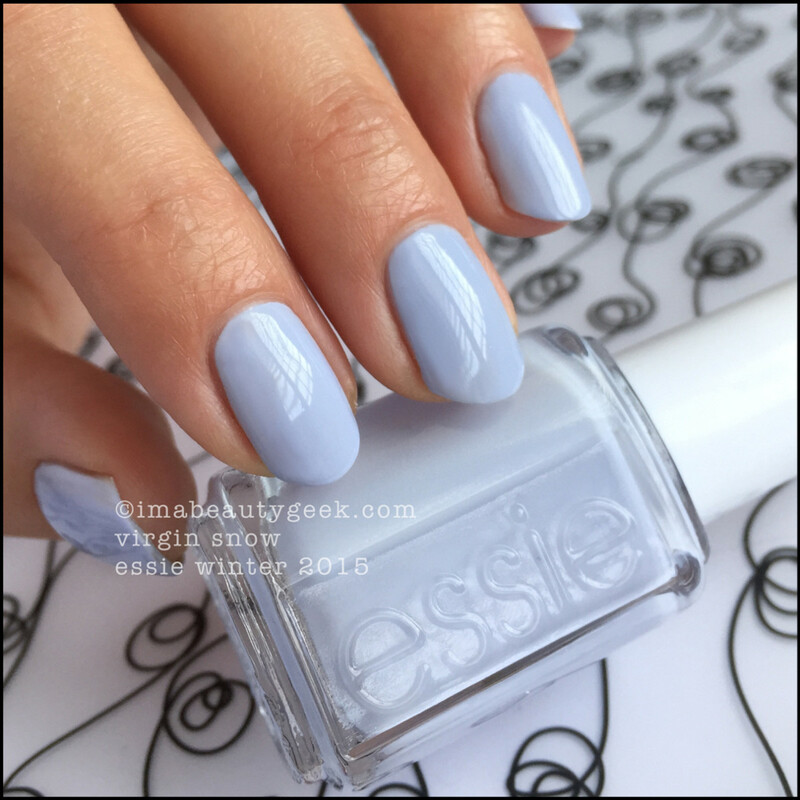 Essie Winter 2015 – Essie Shall We Chalet (above). People are gonna be all “Why two reds in one collection, Essie?” Well, that’s because one of these will suit you better than the other. This one leans a lot more blue and it’s way more holiday than Altitude Attitude. Beautiful nonetheless, stupendously shiny, and equally as easy to apply, it’s better for people who don’t have as much yellow in their skintone as I do. I’m teetering on the edge of Crustacean Hands. 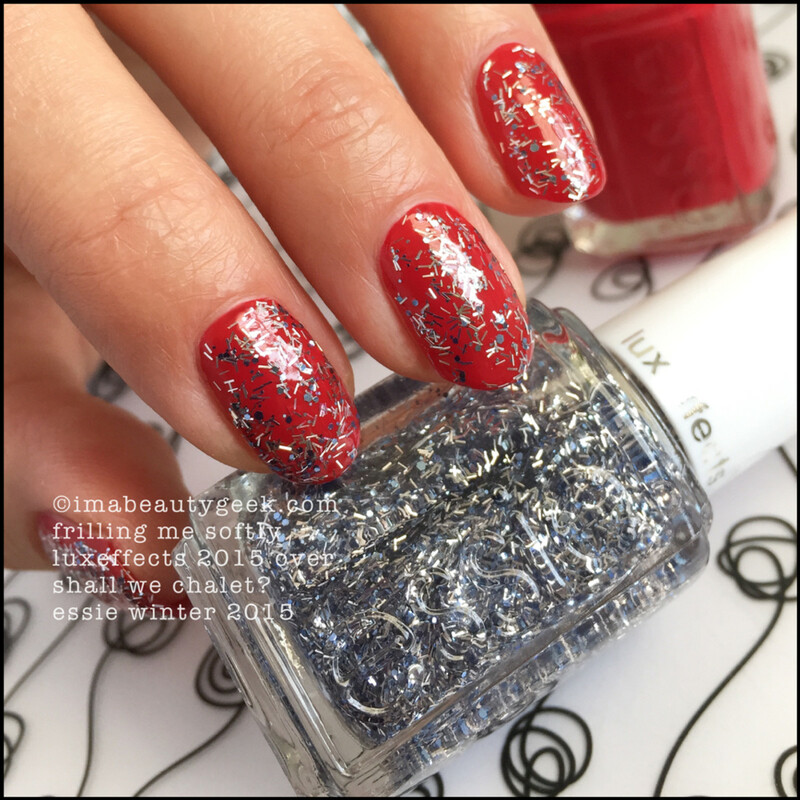 Essie LuxEffects 2015 Essie Frilling Me Softly over Shall We Chalet (above). I don’t really know why I thought this would work better. I mean it’s okay, I guess. Very festive holiday Christmas tinsely. But I don’t love it the way I thought I would. Kellie G did it better. Also, it popped The Lobstah on me. 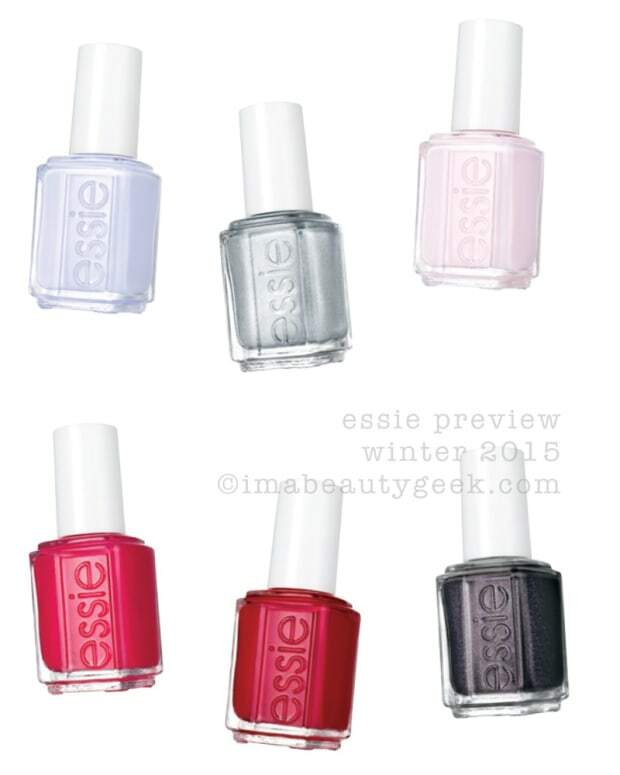 Essie Winter 2015 – Essie Haute Tub (above). And then we have this. Let’s just stare at it for a while, k? 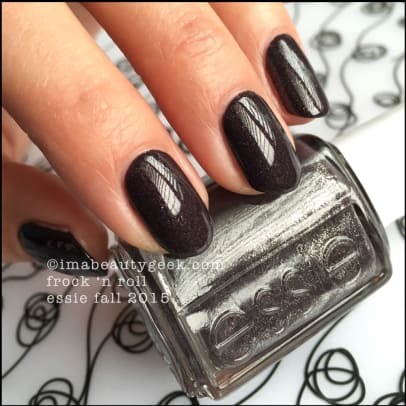 Essie Winter 2015 – Essie Haute Tub (above). Okay, still staring. See the bottle? Yeah, you don’t get all the twists &apos;n turns that show in there to pop out onto the nail but that’s okay with me because I’m still in The Love with it. It’s a neato glimmery cold, dark, and starry night. #GimmieThat. 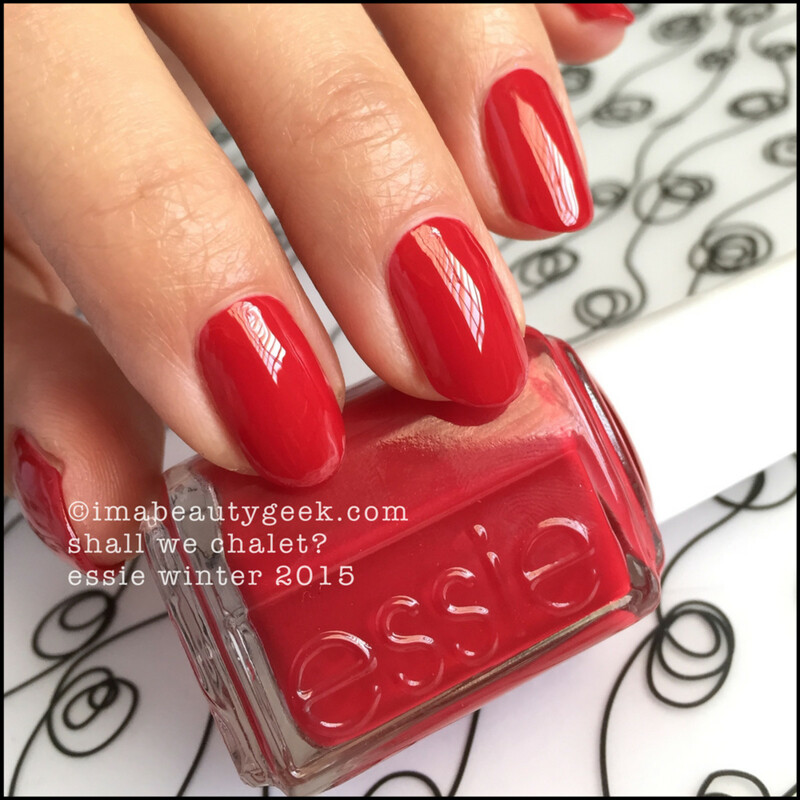 Essie Winter 2015 – Essie Haute Tub (above). Just one more time for good measure. You know, because I can. For me, this collection hits the right notes for Essie and for The Archives. It makes sense following the stunning shades of Fall. 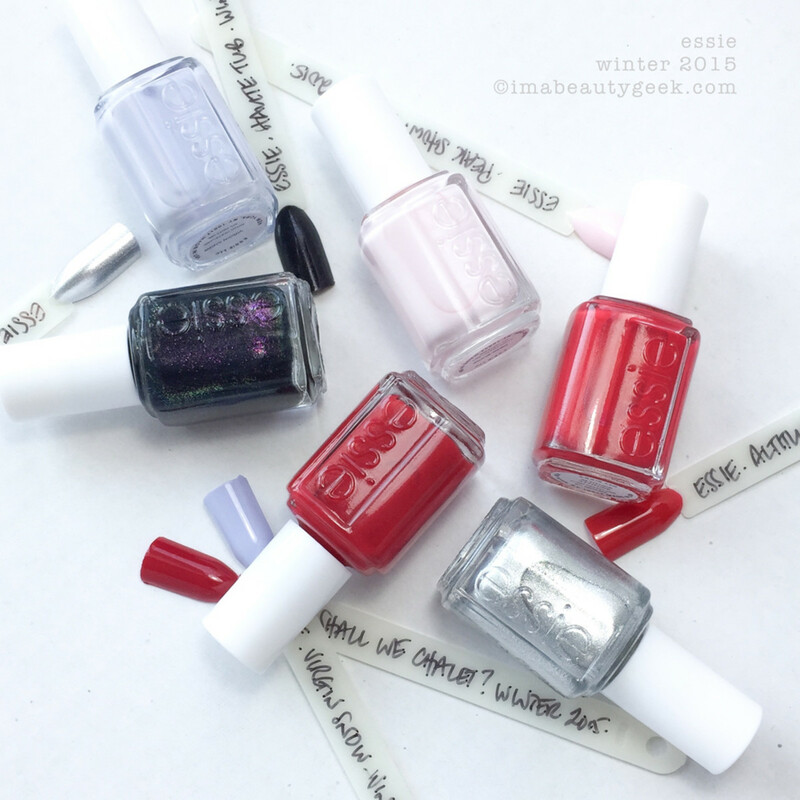 Oddly enough, I have nothing from Essie that dupes any of this Winter collection. I figured I’d at least have an Essie red to match but I don’t. Sure you can probably dupe it with OPI or with other brands and if you need to see sticks, lemme know which ones and I’ll see what I can do. If they’re close enough, I&apos;ll take the pics. If they&apos;re far apart, I&apos;ll let you know. Oh! Oh! Wait! 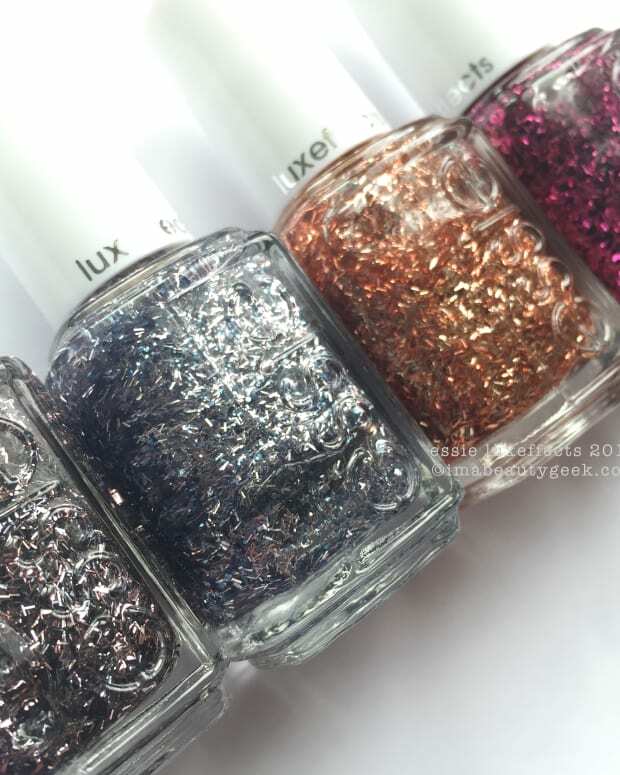 There&apos;s one more shade in the LuxEffects 2015 collection that I didn&apos;t show you! 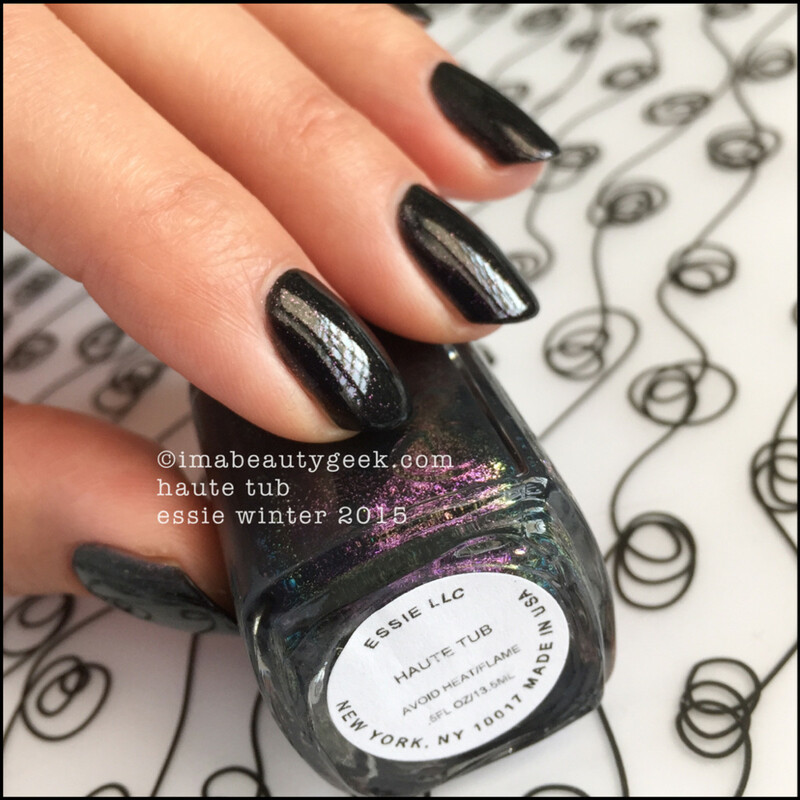 But, you can find it here in the fab Essie LuxEffects 2015 post that the phenomenal Kellie Gonzo (I heart her) did for us. She’s so good with glittaaaah! 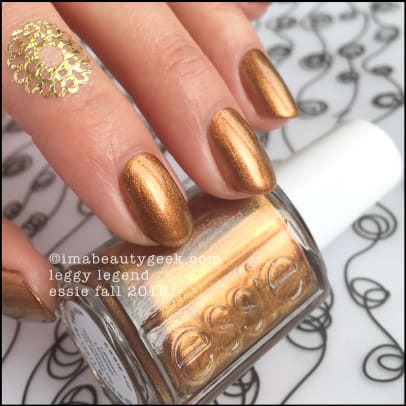 And finally, before I let you go, let’s go back and look at Essie Fall 2015 one more time because holy crap that collection is smashing and if you haven&apos;t already, you can still get it right now! Availability: you can get all this stuff right now at Ulta.com. 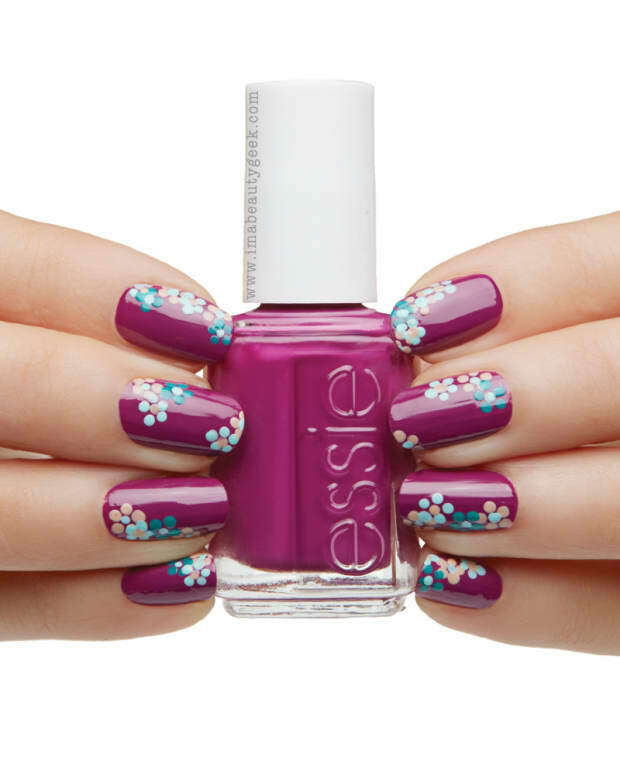 For more information on all things Essie, hit &apos;em up at Essie.ca. So? Whatcha gonna get, huh? Or, did you buy yours months ago?